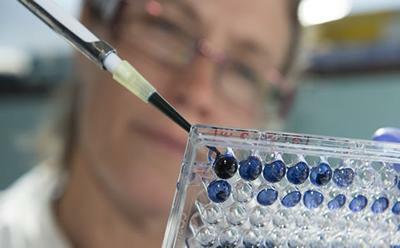 Researchers from the University of Southampton have discovered a potential way of stopping one of the most aggressive types of brain tumour from spreading, which could lead the way to better patient survival. Glioblastoma is one of the most common types of malignant brain tumours in adults. They are fast growing and can spread easily. The tumour has threadlike tendrils that extend into other parts of the brain making it difficult to remove it all. Although there have been great advances made in the treatment of Leukaemia’s and other cancers, little is known about how Glioblastomas are formed and how these tumours infiltrate the brain tissue. Published in Molecular Neurobiology, the study led by Dr Elodie Siney under the supervision of Dr Sandrine Willaime-Morawek, Lecturer in Stem Cells and Brain Repair at the University, analysed how enzymes called ADAMs affect the movement and function of the human tumour cells. The findings suggest that if you are able to block specific enzymes called ADAM10 and ADAM17 the tumour stops growing and spreading. It also moves the cancer cells away from the place where they were growing which could allow them to be removed through traditional cancer treatments such as radiotherapy, chemotherapy or surgery. “When confirmed in animal models of glioblastoma, this finding will be of great importance for patients and clinicians,” said Sandrine. “Glioblastoma is a devastating disease which is often untreatable. We have found that blocking ADAMs may lead to reduced tumour growth and less recurrence following conventional treatments, improving the chance of complete surgical removal and improving survival rates."